Our 200 Hour Yoga Teacher Training serves as a vessel, allowing us to share our knowledge, understanding, and experience of yoga in all its depth, beauty and diversity; to teach and live with integrity and authenticity; and to inspire the next generation of yoga instructors towards a life of service. We achieve this in part by including only the most learned, sincere, and experienced teachers and practitioners on our team, and by keeping our trainings grounded in Satya (Truth). Our Yoga Teacher Training: Balancing the practical, theoretical and experiential aspects of yoga, our 200 hour Bali Yoga Teacher Training course is designed to provide you with a well-rounded, comprehensive training, giving you the tools, techniques, and confidence that allow you to begin teaching at a professional level. Believing that the ability to ‘lead from the heart’ is inherent in everyone, we’ll have you begin ‘practice teaching’ right away, tuning you into your natural gifts from the start. You’ll first work in pairs and then in small groups—developing your style and poise—before moving on, towards the end of the training, to lead the entire class through a sequence of your own creation. Our twice-daily asana classes (taught in the Hatha, Vinyasa Flow, and Yin Yoga traditions by veteran instructors) include both pranayama and meditation practice, and our ‘Posture Clinics’ provide greater insight into specific asanas by exploring and studying them in depth. Areas of focus include: proper alignment; anatomy, physiology and kinesiology; health benefits; symbolism; Sanskrit/common names; as well as modifications and variations. Please note that our 200 hour yoga teacher training in Bali is our flagship offering. Trainings in other locations will feature a different focus, with smaller class sizes and areas of study unique to the indigenous culture and environment. 200 Hour Yoga Teacher Training Bali Workshops: Instructors whose expertise lies in specific areas of practice facilitate the sizeable ‘workshop’ portion of our course. Subjects such as Ayurveda, Pre- and Post-Natal Yoga, Sanskrit, Honoring the Divine Feminine, ‘Working with the Energetic Body’ and Advanced Yin Yoga are explored during these modules, which vary in length between one half-day and three days, depending on the subject. When holding events at the Yoga Barn Bali we are able to draw on a wide array of local teachers, guides, and events unique to Bali due to it’s popularity as an international yoga center, and the fact that so many skilled alternative health care professionals from all over the world have chosen to make Ubud, Bali their home. We often invite these practitioners (and teachers of other natural health and wellness systems) to share their knowledge, wisdom and experience with us, as we can incorporate many of these complementary healing practices into our yoga (which is in itself a healing art). Many of these practitioners are also available for private sessions, providing support, care and insight during your journey. Also, we often include ecstatic dance, chanting, kirtan, pujas, and homas (fire ceremonies) and other rituals to assist us in deepening our experience and to facilitate our personal transformation. Woven throughout our core curriculum, the spiritual dimensions of the practice are by far the most important. It is our awakening to the symbolic nature of the cosmos, the patterns reflected in nature, and our essential unity with ‘all that is’ that allows us to truly shine as yogis and teachers. As we attune to such universal truths on the mat, we are increasingly able to experience them in other dimensions of our lives as well. In learning to align with ‘the way of things’ through our yoga practice, we not only purify ourselves, we become more effective guides for others as they travel their own, unique karmic paths. As all authentic wisdom traditions the world over lead to the same place, we will often refer to them—in addition to the more ‘classical’ yoga lineages and approaches—so as not to become fixated on one frame of reference. In the end, it is all about love, freedom, and self-realization, not which teacher we follow or what path of awakening we choose. While we are your guides, doing all that we can to comfort you and help you grow, it is ultimately up to you to determine your own route ‘home’. 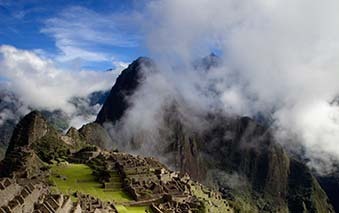 We look forward to sharing some of that sacred journey with you. Always reverent of the concept of ‘Lila’ (Sanskrit for the ‘divine play’ which creates the universe), we encourage the lighter side of the practice. Gratitude and delight blossom within us all as we gather to share, creating trainings that are deep, meaningful, transformational…and lots of fun! At the end of our Yoga Teacher Training program, students are awarded a ‘Certificate of Achievement’ upon graduation; in addition to certifying you as a qualified instructor, this grants you the ability to register with the globally recognized Yoga Alliance USA as an ‘RYT-200′ (a Registered Yoga Teacher at the 200 hour level). We recognize and celebrate the following: each being on this planet contributes to a tapestry that gives life it’s beauty, it’s breadth and depth, and it’s power; everything in this world—be it human, plant, animal or elemental—is infused with consciousness; and everything is an indispensable expression of The One. We respect and honor all aspects of creation. As a platform for raising global consciousness in the context of our events, and encouraging the creation of a healthy planetary community, we are committed to bringing together (in yoga!) people from all nationalities, ethnicities, gender identities, humans of ‘masculine surrender’ and female strength, socio-economic backgrounds, ‘disabilities’/diverse abilities, religions, ages, shapes and body types. To us, it is imperative that all yoga practitioners have teachers from their own communities to identify with, so that they are seen, recognized, respected and represented. Such mirroring fosters community and creates safe spaces for healing, which in turn serves to bridge societal and self-imposed notions of separateness towards the understanding that we are all one. Even as the spiritual tradition of yoga leads us to an understanding that liberates us from the notions of identity, we recognize that along the way, through our stages of development, it is important to hold space in safe ways for people to be who they are without judgement. We believe that diversity encourages inclusion. Through illuminating what is different in all of us, we are able to see our fundamental oneness with all beings and all things. Whenever possible, we attempt to have these values about diversity reflected in our facilitation team. This is one of the reasons we choose to locate our events in particularly powerful places around the world while drawing from spiritual traditions not exclusive to yoga. Currently, passionate people from India, Jamaica, Indonesia, Venezuela, Canada, Ireland, Australia, the UK, the US and more are part of the SOSA Tribe, as well as humans of various ethnicities, body types, atypical gender spectrum locations and LGBTQ associations. We are proud that our yoga trainings attract people from all over the world. 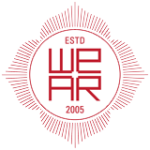 In the past decade (it’s our ten-year anniversary this year!) we have welcomed people from, but not limited to, the following countries: Brazil, South Africa, America, Mexico, Colombia, Zimbabwe, Japan, Russia, Malaysia, Vietnam, Turkey, India, Canada, UK, Ireland, Switzerland, Germany, France, Italy, Holland, Egypt, Iran, Venezuela, Czech Republic, Poland, Sweden, Norway, Denmark, Finland, Dubai, Belgium, Indonesia (Bali, Java, Borneo, Sumatra, etc. ), Philippines, Israel, Oman, New Zealand, Palestine, Greece, China, Spain, Argentina, Singapore, Bahrain, Portugal, Croatia, Serbia, Austria, Lithuania, Estonia, Mauritius, Romania, and Hungary. A portion of the proceeds from ‘Into the Heart of Light’, our Yoga and Plant Medicine immersion in Peru, is gifted to various aid organisations and projects supported by the Sach’a Munay Retreat Center, and we are diligent about how we conduct business within our beloved Bali, always seeking ways to give back to the Ubud community and regularly donating to local charity organizations Through the years these have included places such as Bumi Sehat, BAWA, The Villa Kitty Foundation, various volcano aid organizations, etc. ‘Pay it Forward’, our scholarship program, operates in the spirit of ’seva’ (selfless service). After granting financial aid to student applicants with limited resources (with a focus on Balinese Nationals), these recent graduates are requited to share—at no charge to participants—their newly acquired yoga skills with a community of their choice. Such a commitment (in the form of teaching classes or some type of program) must be regular and ongoing for a minimum of 3 months. For example, past recipients have chosen to teach orphans, the elderly, at-risk youth, local villagers and others in order to improve health and otherwise enhance the quality of people’s lives. 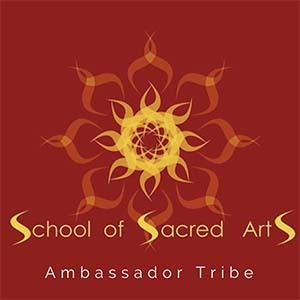 Our new Ambassador Program has been designed to encourage greater diversity and inclusion within the yoga community and to deepen the connection with our alumni who are already sharing the good word of SOSA. With it, we renew our pledge to raise global consciousness, serve our planet and to provide greater opportunities to those outside of the dominant culture. More specifically, SOSA is committed to social responsibility, justice and empowerment, and we are seeking new ways to encourage and support those who are willing to empower not only themselves, but also the people dearest to us, which include those that are underprivileged or disadvantaged. We advocate this in the way we recruit our teams, through a curriculum that draws from different cultural lenses and wisdom traditions, through the organisations we work with, and in finding ways to give back to the communities that we as a body operate within. Over the last decade SOSA has certified over 500 Yoga instructors from more than 50 countries around the globe and touched many more through our retreats, 100-hour modules and immersions. As you—our alumni—know, the molecular heart of SOSA’s ethos and teachings is this: through deep self-enquiry and realisation, our individual uniqueness and diversity is discovered, valued, and celebrated, allowing us to live and teach from the depths of our own, authentic self…thus freeing others to do the same. We believe that diversity encourages inclusion. Through illuminating what is different in all of us, we are able to see our fundamental oneness with all beings and all things. It is not lost on us, however, that the mainstream representation of yoga often fails to acknowledge people of colour, disadvantage, masculine surrender, disability, awareness for every body size and shape, queer and trans bodies and those that do not adhere to conventional gender norms. To us, it is imperative that all people—no matter their creed, race, religion, social economic status, gender or skin color—have teachers from their own communities to identify with so that they are seen, recognized, respected and represented. Such mirroring fosters community and creates safe spaces for healing, which in turn serves to bridge societal and self-imposed notions of separateness towards the understanding that we are all one. As our Ambassador you will represent and embody our school and our teachings on the ground and via social media. Referrals to our trainings will receive discounts, so you can give to your friends and students, inspiring them to take the next step. 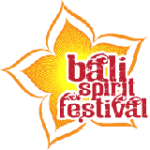 You personally will receive a 20% discount on all future SOSA trainings and any attendance at the Bali Spirit Festival. This program will also serve to highlight the incredible work you are doing in the world, with the opportunity to guest blog for the SOSA website and be featured in our newsletter that is distributed to over 2000 like-minded beings. Friends, Bali really needs your help right now! Tourism is way down because of fear of a Mt. Agung becoming even more active, and many locals are hurting financially because of it. The reality is, Ubud is far enough away from the volcano so that there is no direct threat, and the local government has gone to great lengths to create contingency plans in case of any disruption or inconvenience due to the volcano’s activity. Furthermore, right now there is much less traffic, less noise, everyone has more time for each other, prices are lower and everyone is all the more appreciative of the tourists who are here. In short, it’s a great time to visit! Whether you are joining us for our training or not, please come! And please pass the word to others, for the sake of all. Normally we include some special evening sessions, and on occasion we include full days of silence and meditation in our program. Please note that Yoga Teacher Training schedules are subject to change without notice. Note: “The Wisdom of Yoga” is required reading and “Anatomy for Yoga” is required viewing. If you cannot watch the DVD before coming to the training, there will be a viewing on one of the afternoons off during the course. The rest of the books are primarily meant to serve as reference material, both before and after the course. Please take the time to familiarize yourself with them prior to the training; do not feel obligated to read them in their entirety (though we highly recommend it!) For those traveling to our teacher trainings, there is no need to bring the books with you. That said, many of them are available on Kindle/as e-books. An exception is ‘The Wisdom of Yoga’, available in hard copy only. Yogabody: Anatomy, Kinesiology, and Asana – Judith Hanson Lasater, Ph.D., P.T. Yoni Shakti: A Woman’s Guide to Power and Freedom Through Yoga and Tantra – Uma Dinsmore-Tuli, Ph.D. Anything by Steven Cope, Michael Stone, Mark Stephens, Georg Feuerstein, Robert Svoboda, David Frawley, and the Bihar School of Yoga (Published by Yoga Publications Trust). Apply now by clicking on the relevant date and location below! Tuition for our Bali YTT is USD$3650 which includes all instruction, manuals and a complimentary ayurvedic massage.